With so many people now carrying smartphones, an increasing number of traditionally paper-based documents are making their way onto the devices. In March, it was reported that a company was working on a “paperless passport,” now, the UK has become the latest place to reveal an early version of a digital driver's license. Last week, the CEO of the UK’s Driver and Vehicle Licensing Agency (DVLA), Oliver Morley, tweeted a picture of a “little prototype” license on the Apple Wallet app, which lets users store digital versions of loyalty cards, gift cards, tickets, and so on. Morley followed this up with another Tweet, stressing that there was no timeline for the digital document’s arrival. He also added that it would not be replacing the standard plastic driving license but act as an “add-on,” which presumably would be used when the physical version wasn’t available. CCS Insight analyst Ben Wood told the BBC: "Security has taken a significant step forward to support digital payments on phones, so the framework is in place for other secure applications, such as a digital driving license. There are not many people in the UK that do not carry a smartphone with them every day, so it is a logical next step." It’s almost certain that when these licenses arrive they won’t be exclusively available to iPhone users. 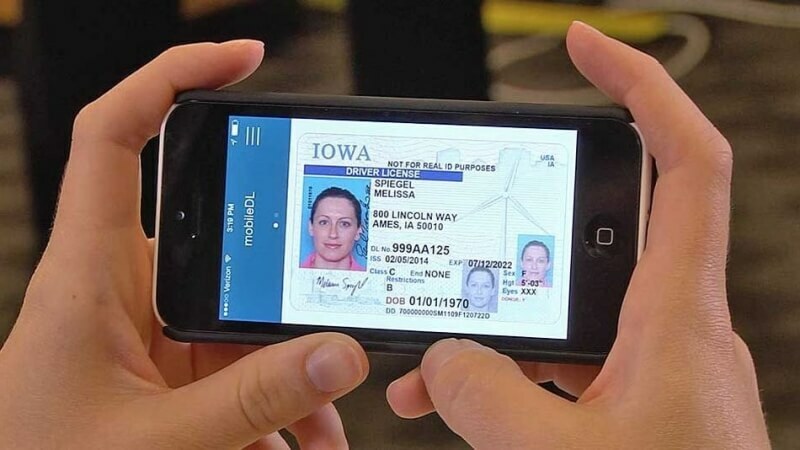 The DVLA may follow in the footsteps of Iowa, which is testing a similar system using a dedicated Mobile Driver’s License (mDL) app developed by MorphoTrust for the state’s Department of Transportation. In addition to the UK and Iowa, Delaware is investigating the idea of virtual licenses; it aims to become the first state to introduce them, possibly by the end of this year. And in New South Wales, Australia, plans are in place to digitize driver’s licenses in 2018.